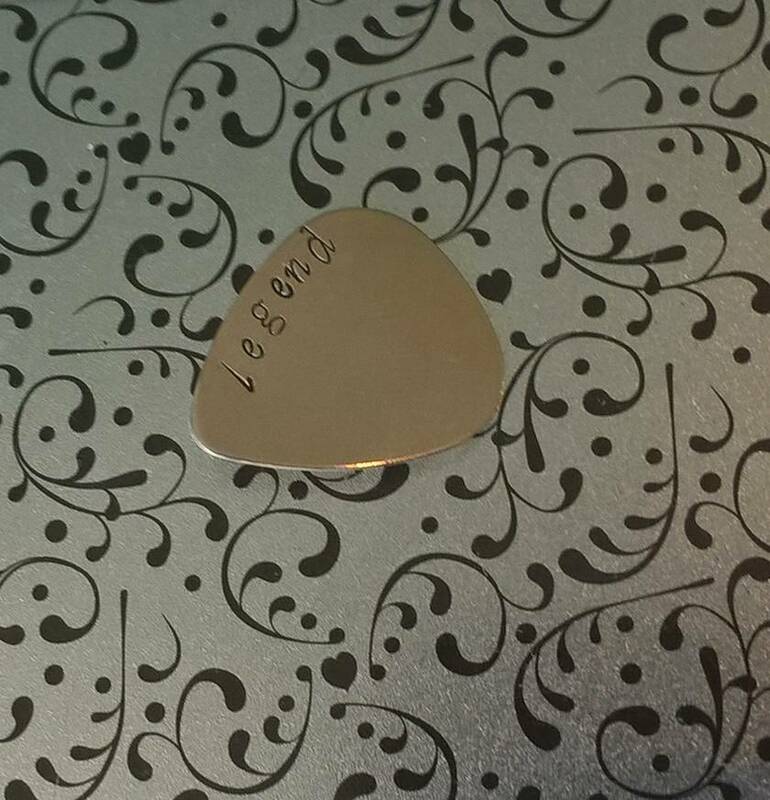 Hand stamped nickel silver guitar pick with the word "legend", inspired by the legendary Bob Marley. 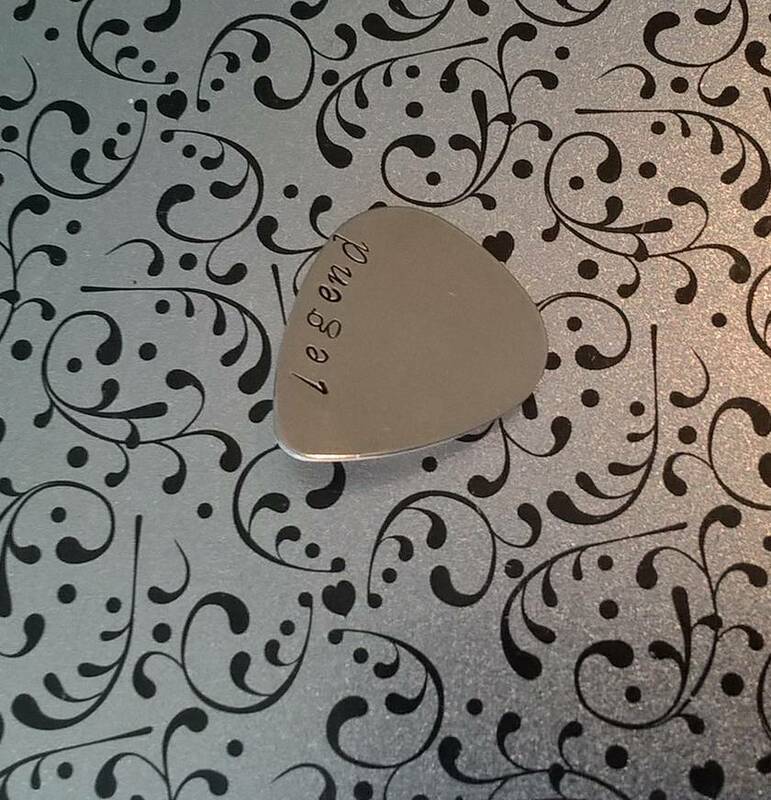 This has been hand stamped with the font (stylish), in lowercase. It has then been given a non-toxic black ink finish on the letters. There may be slight imperfections with the stamping - I believe this adds character and authenticity.